Welcome to Day #7 of Chocolate, Honey and Almonds Theme Week. WB Kitchen (Loveland, CO) offers organic bars and cookies. Honey and almonds are the first ingredients listed in the offerings I've tried. Today's Mocha Java ONA bar was no exception. 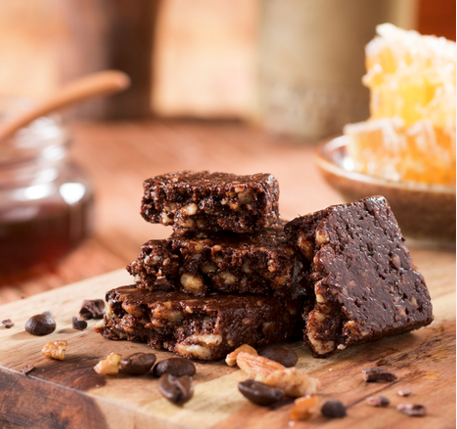 An organic honey (and coconut milk) house-made caramel base provided a moist, rich base that contained chewy bits of almonds, pecans, sunflower seeds, walnuts, and cocoa nibs. Shredded coconut suffused the bar with coconut flavor. 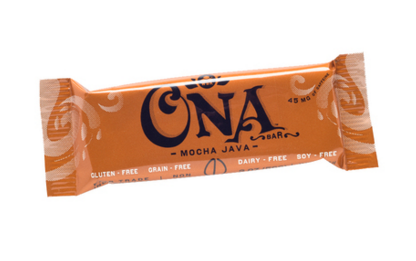 The coffee in this certified gluten free and paleo Mocha Java bar was from Bean Cycle Roasters (Fort Collins, CO). The coffee added robust flavor and helped balance out the sweetness.